original tar ball was based on git://git.kernel.org/pub/scm/virt/kvm/qemu-kvm.git as of May 18 2011. 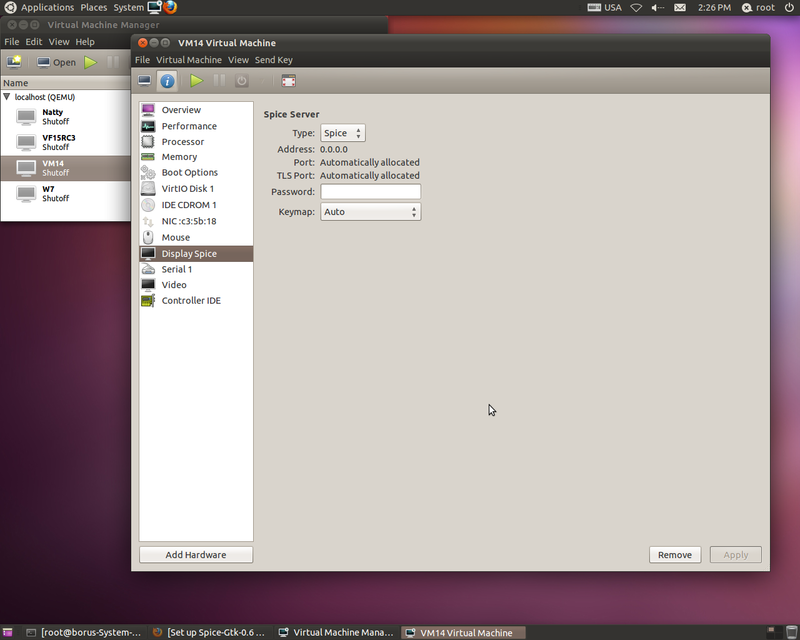 Spice server and spice client will be installed also. 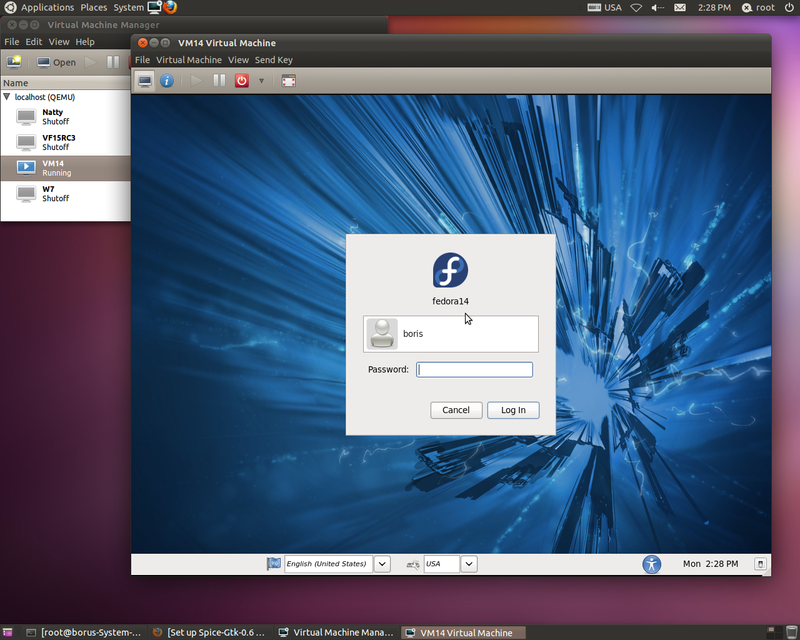 There is also another option add to system PPA Spice-Gtk-0.6 on Ubuntu 11.04 and install ready package spice-gtk-0.6-1ubuntu8. it will activate password prompt and get mouse pointer back. Otherwise, log into VM and mouse pointer should be alive again. 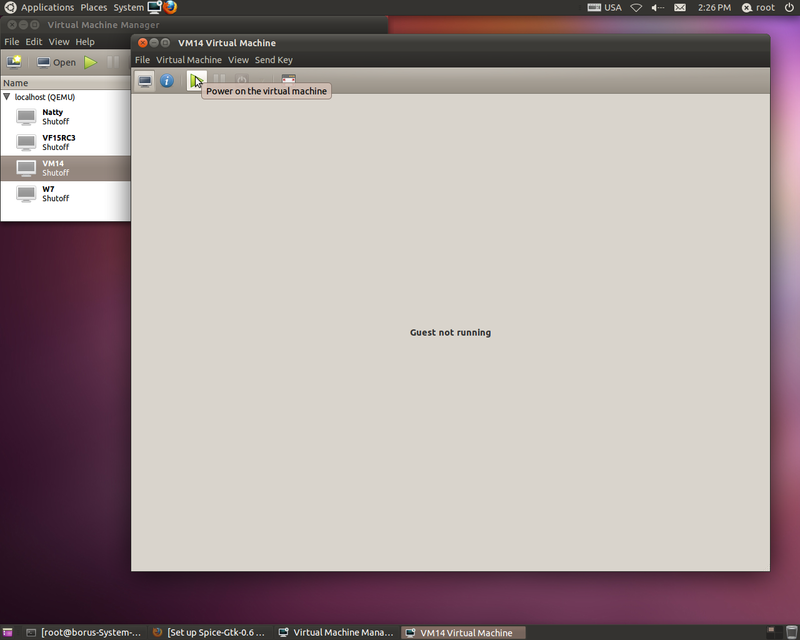 Procedure has been tested with F14,Natty,W7 virtual machines logging in. to get patching to work !! That’s a reason why hack “spice-qxl-locking-fix-for-qemu-kvm.patch” didn’t work originally. Save and copy required patches to debian/patches. Edit debian/chagelog and upgrade version to 5. 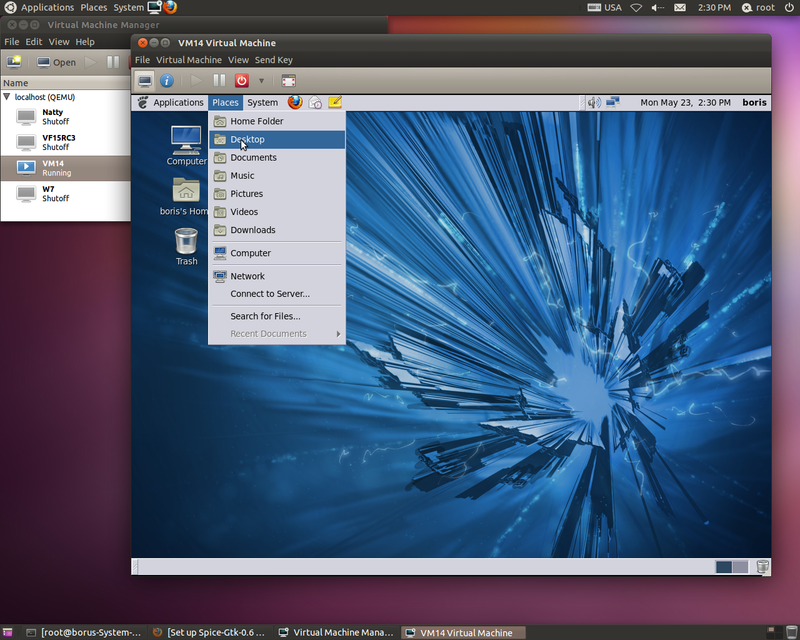 You are currently browsing the Xen Virtualization on Linux and Solaris blog archives for May, 2011.